Imogen's Typewriter. 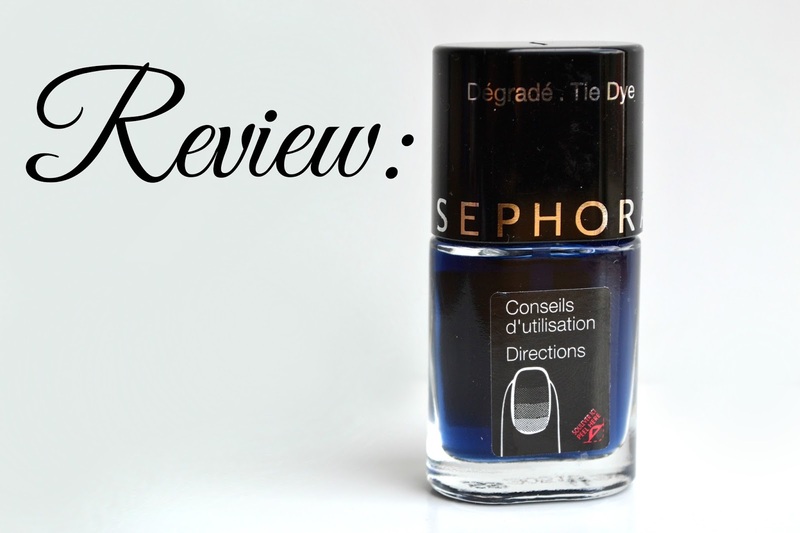 : Beauty Review: Sephora ‘Tie-Dye’ Top Coat! With the release of the new OPI Sheer Tints for Summer 2014 I found myself rattling through my nail polish collection hunting for something I bought last Summer. 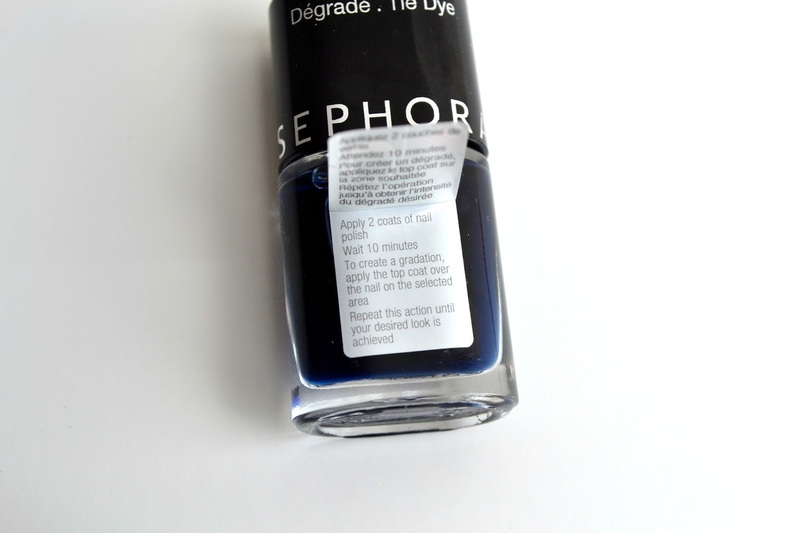 The tints reminded me of this Sephora ‘Tie-Dye’ Top Coat and I thought I would put up a review of this little bottle following the news. 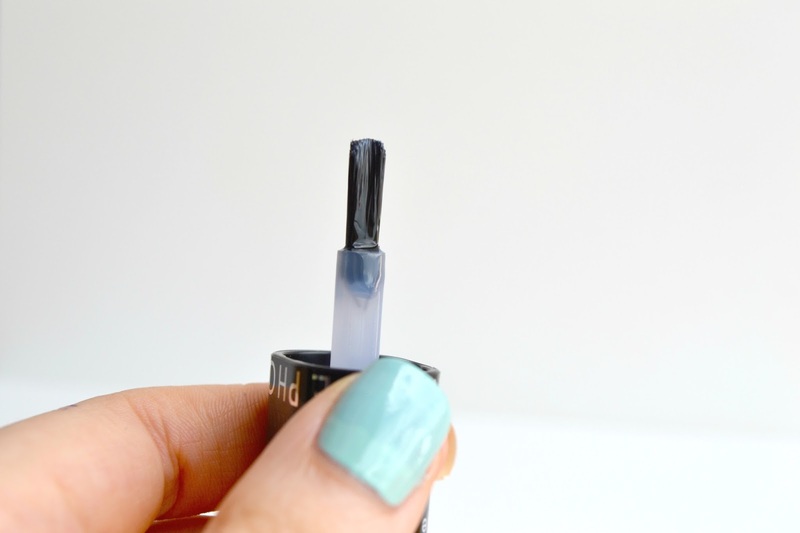 Pretty easy instructions; two coats of nail polish, wait ten minutes, apply the topcoat where you want the effect and repeat until it looks like you want it to! I tried to recreate the look on the label but I do think it is pretty versatile. 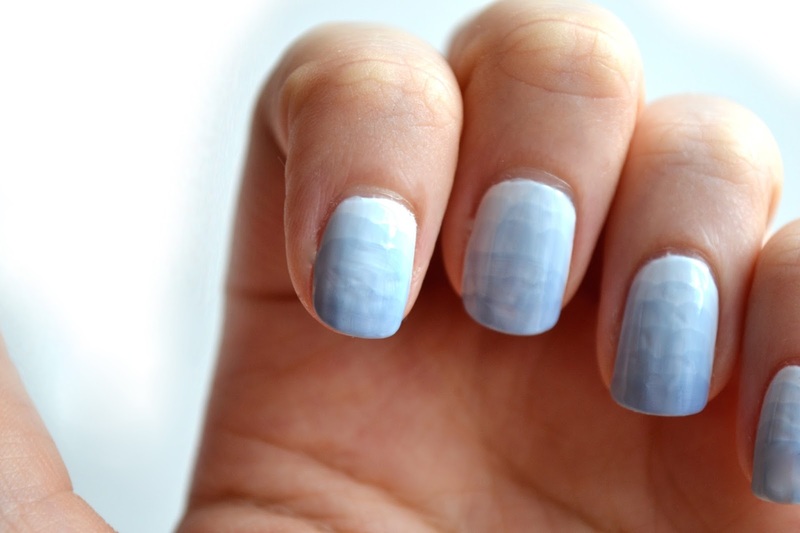 It would be great to make an ombre look if you don't have 5 similar nail polishes. However when I tried it, it wasn't quite the desired look. It's a bit messy to say the least and the layers and layers of polish made it quite easy to smudge and dent for hours afterwards. It looks almost scaly, like mermaid nails, but that wasn't what I was after. Here's the problem, the brush is curved. Blaming my tools here but while this is great for a normal nail polish, to get the look photographed on the bottle you would really need a straight brush. Overall since this only cost about 5 euros, I'm still glad I picked it up and I'm going to try out some more nail art looks with it, but it's problematic and I don't think I'll be forking out for the OPI Sheer Tints.